This is a NASA Hubble Space Telescope near-infrared image of a pillar of gas and dust, three light-years tall, that is being eaten away by the brilliant light from nearby stars in the tempestuous stellar nursery called the Carina Nebula, located 7500 light-years away in the southern constellation of Carina. 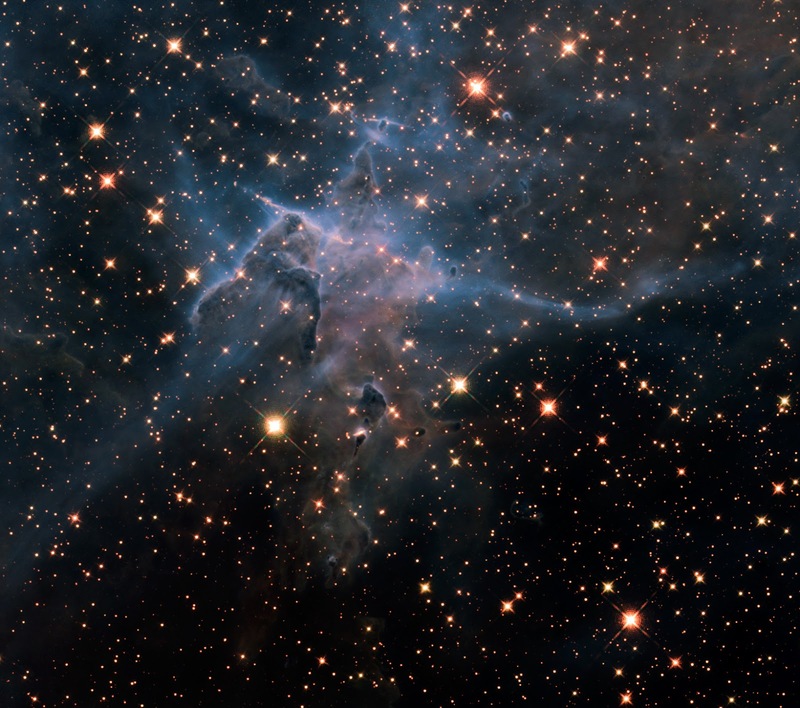 The image reveals a myriad of stars behind the gaseous veil of the nebula’s wall of hydrogen, laced with dust. The foreground pillar becomes semi-transparent because infrared light from background stars penetrates through much of the dust. A few stars inside the pillar also become visible. The false colours are assigned to three different infrared wavelength ranges. Hubble’s Wide Field Camera 3 observed the pillar in February/March 2010.